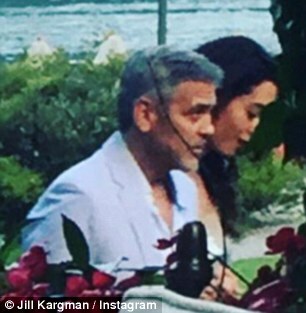 Odd Mom Out creator and star Jill Kargman dined next to George Clooney, his wife Amal, and Bill Murray in Lake Como on Sunday night. 'YOU GUYS! George & Amal next to us having dinner with BILL MURRAY! She makes me look like I need GASTRIC BYPASS,' the starstruck 41-year-old joked to her 95K followers. 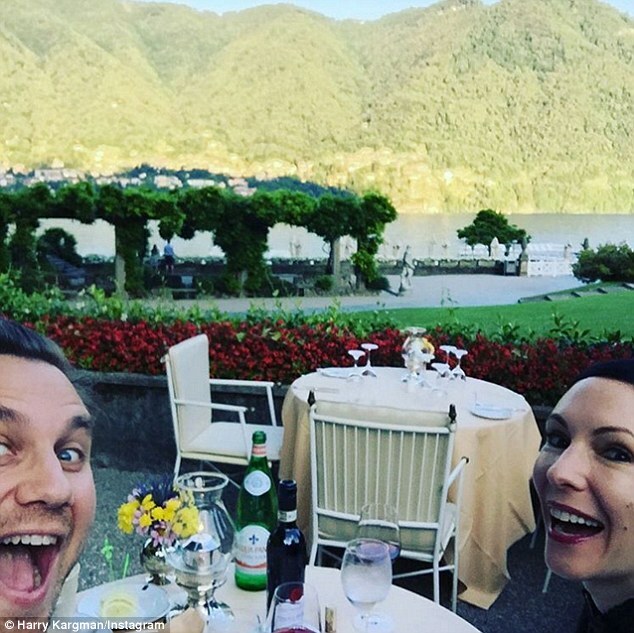 The author-turned-actress and her Kargo CEO husband Harry spotted the famous trio while on holiday in the Northern Italian lakeside resort. 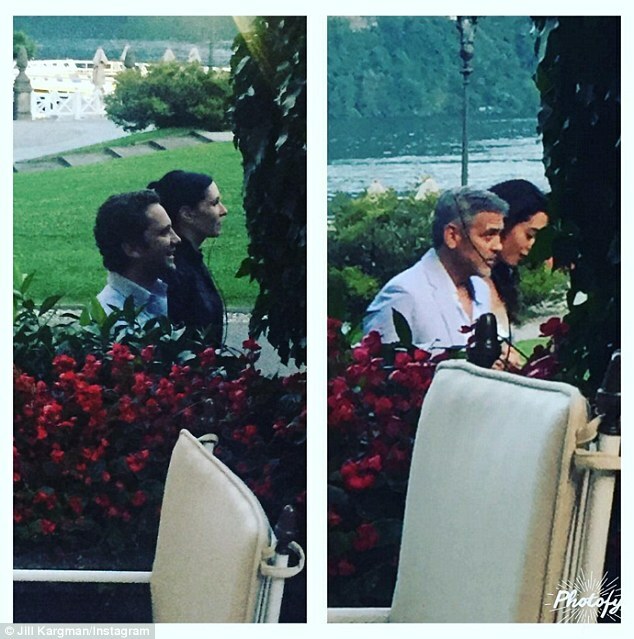 It's no surprise that the 55-year-old Oscar winner and the 38-year-old human rights lawyer - who own a villa nearby - enjoyed a night out with the 65-year-old Oscar nominee at Como's famed Villa d'Este hotel. 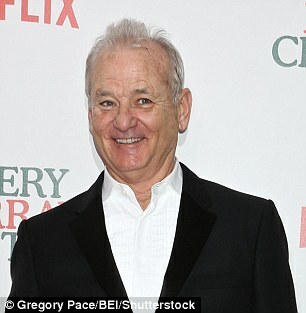 George appeared in Bill's Netflix special A Very Murray Christmas last December, and Clooney directed Murray in his WWII flick The Monuments Men in 2014. And Jill just so happens to be the sister-in-law of Drew Barrymore, who separated from third husband Will Kopelman on April 2. Karger remains close with the 41-year-old Golden Globe winner, who guest stars as 'Meredith' on the July 25 episode of her Bravo series. Lol wwhs you do speak Daily Mail quite well. "George Clooney is a beautiful man." The haters are gonna have a field day with that one. You have to get through the piece on Beyonce's BET outfit but then there is a pic of George, Amal and Bill on a boat I assume from July 4th .... and Bill is wearing the infamous t-shirt. are you talking about this pic and tee shirt? That's great! Thanks to Mr. & Mrs. Clooney! Yep carolh. That's the pic. Didn't know Mr & Mrs Clooney had it. They pulled it from the same video. Funny isn't it. Bill is hilarious. So did he buy the shirt himself or did George buy out the tee shirt stock from this company and is handing them out to his friends??? I could so see George doing that lol. George always looks like he's still trying to get into her pants. ... And before anyone jumps all over me, I don't say that as necessarily a bad thing. He has the trying to get in her pants look and she has the trying to hump his leg look. The leg statement was made when we first knew they were together. I think that means they are happy together which is a good thing. annemarie wrote: He has the trying to get in her pants look and she has the trying to hump his leg look. The leg statement was made when we first knew they were together. I know. I made the statement. It was made in humor then, as this one is now, and both can stand without the pedantic interpretation. Sheesh. By the way, I wouldn't say that about her now, in seriousness or jest. I should have added lol sorry I forgot.